Good afternoon everyone! I hope you are all having a wonderful Monday! 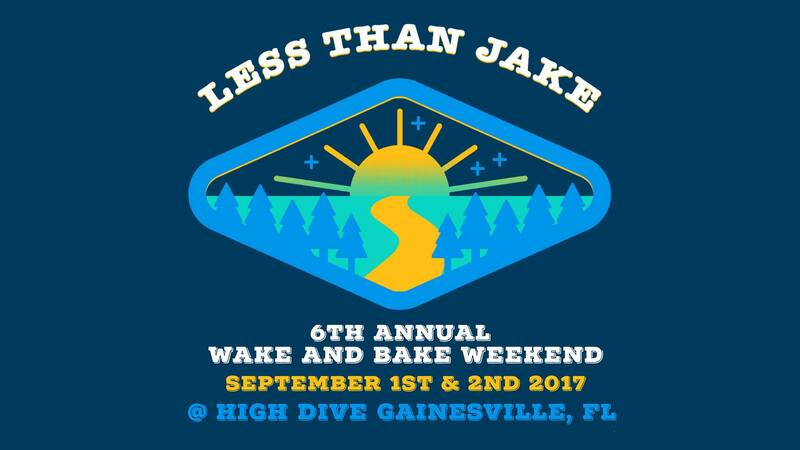 I am finally back and ready to share some nail art I created earlier this month for the annual Less Than Jake Wake and Bake Weekend in Gainesville, Florida. This weekend has pretty much became a yearly tradition for my sister and I, a weekend full of Less Than Jake, friends, and good food/drinks. As a huge Less Than Jake fan it seems only natural that I create nail art in celebration so this year I decided to use the promo poster image for inspiration. For my nail art I started off with two coats of Alpine Snow by OPI for a clean palette to work on. 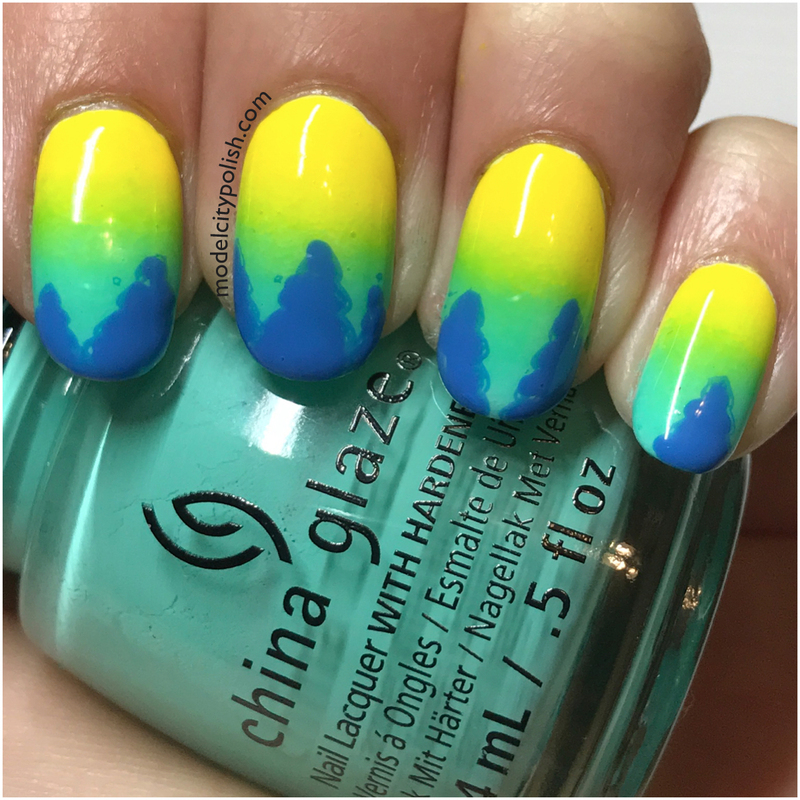 Next I used Too Yacht to Handle by China Glaze and Daisy by Julep to create a fun gradient inspired by the sun in the promo poster. 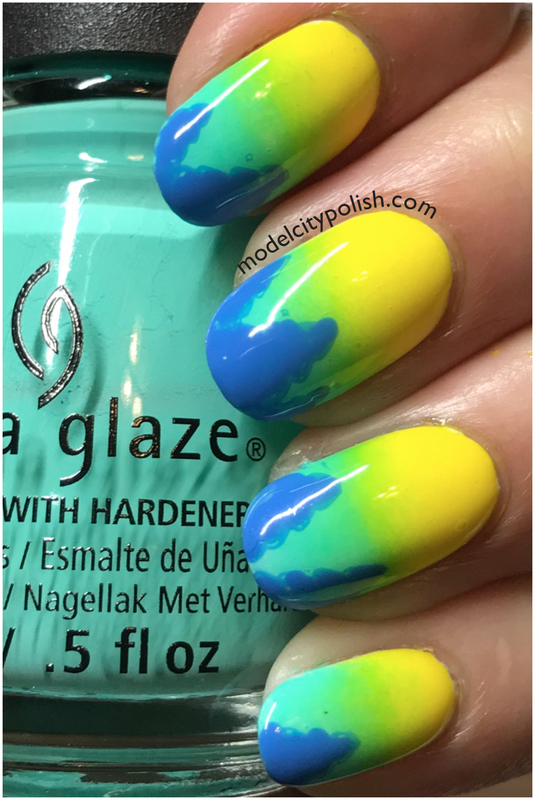 To tie it all together I used Dory by Zoya and a stamping plate for a tree silhouette, then filled in with a dotting tool. Everything was sealed with two coats of Marvel Liquid Macro Top Coat by SuperChic Lacquer. So what do you guys think of this year’s mani? I loved it!! I got so many compliments and shared fun techniques with so many people! I wish it wasn’t over so quick though!!! This year we stayed at the Gainesville Lodge which is one block over from the venue so once we parked on Friday we didn’t have to drive until we got ready to come home. We were close to the venue, Five Star Pizza aka best pizza ever, local shops, and Wunderland Tattoo shop. We will certainly be staying there again next year! My sister and I are already counting down to next year’s event! Thank you so much for stopping by today and I will see you all again tomorrow! I am in LOVE with this design. It almost reminds me of a lava lamp and the colors look amazing together!! 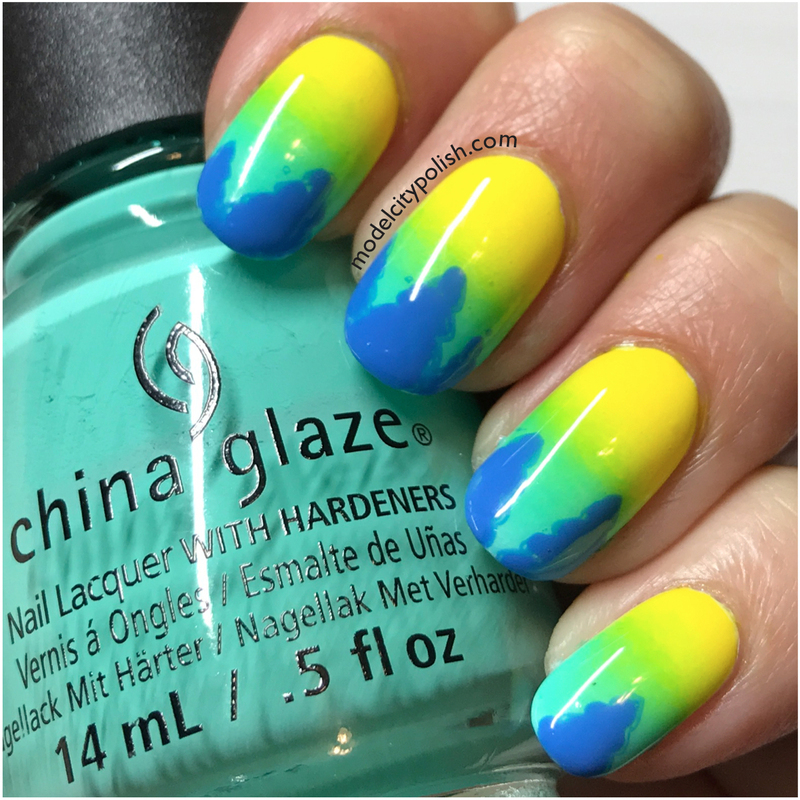 What a fun and bright mani!!! Perfect for a weekend in Florida. What a pretty interpretation. These colors look so fabulous together. Sounds like you had the best time ever. You nailed it. It’s super pretty and bright! 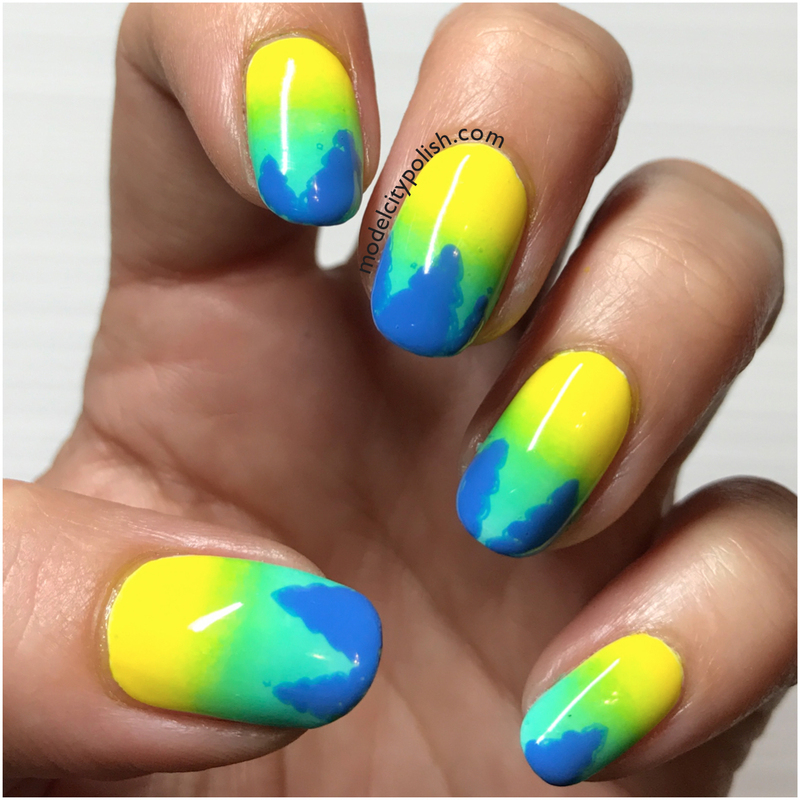 I love a mani with bright colors. You definitely captured the setting sun with trees from the poster! Very well done! Such a beautiful mix of colors!! Glad you had a fun time!! Great inspiration! 🙂 I love the color combination here, it’s bright and fan! What a fun design. It feels really glow-y! Now I want to slap on some neons. This came out so well! I love these happy colors.